So no one saw the other boot? 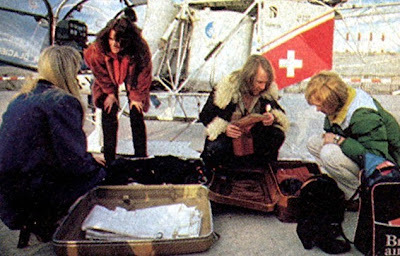 ABBA's personal bagage search after arrival in Switzerland in Februay 1979. The ABBA members all colourful in 1974.